You may have already heard that Chrysler is planning to provide in-car wireless internet access to its vehicles. If not, expect to hear more about it later this year when the requisite hardware becomes a sales-floor option, or next year when it becomes factory standard for some cars. We can’t say it’s a bad idea, it’s just not a new one. Plenty of commercial portable routers are available, but they still need a modem and data plan to provide internet access. 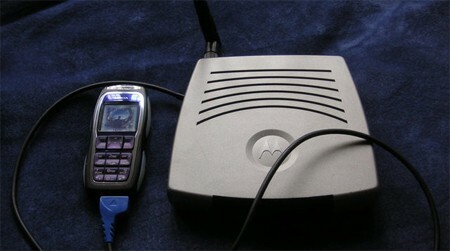 For internet access and wireless routing, look to [Nate True]’s cellphone-router combo, which uses a spare Nokia cellphone and a highly modded Wi-Fi router running OpenWRT. [True] has made it easy by providing the instructions and necessary custom code, but it seems like a lot of effort for a relatively slow connection. We think the original Stompbox is still the most fun since it has the speed of commercial devices and an open x86 OS to modify.